BROCKTON, Mass. /Massachusetts Newswire/ — Moduline Cabinets shares tips for assessing storage space and increasing its efficiency in the new year. Our military-grade aluminum cabinets fit any garage and workshop to maximize organization. Our high-quality aluminum cabinet systems are used by garage enthusiasts and professionals for over twenty-five years. Create a master plan for storage by measuring the space first. Budgets can be tight after the holidays, but there are still many affordable options from Moduline Cabinets to organize a garage space. Once dimensions of the space are known, then call our expert cabinet designers to create the perfect storage solution with our modular garage cabinets. We ask questions that many customers haven’t thought about before calling our experts. We can also create a detailed drawing to see how the space will look with the layout. Our estimates will be within budget and provide a custom cabinet storage solution. The space is a determining factor in the layout of Moduline Cabinets in the garage or workshop, but goals are also an important consideration. Moduline Cabinets has a variety of cabinet types, sizes and layouts available to fit the goals for the space. Consider, for example, if the space needs to be functional for car maintenance. Moduline Cabinets has movable military-grade aluminum mobile tool boxes that can be stationed nearby while working on a vehicle. If the purpose is also to organize and store car parts, other household items and tools, then there are specific cabinets and accessories built to fit in any space. Moduline Cabinets also manufactures tall cabinets that are efficient for storing brooms, vacuums, and other tall tools or household items. Call our cabinet experts with details on how the space will be used. Our technical designers can create a layout to fit goals for the space. Our clients either know exactly what they want or haven’t a clue how to get started organizing their garage or workshop. We’ve made it simple. We offer base cabinet pre-configured combinations that can be easily ordered online for those who know what they want. It’s also easy to get started with a custom aluminum storage cabinet combination by calling our cabinet experts for the most effective and efficient workspace. Moduline Cabinets’ cabinet experts provide designs and suggestions. We also stand behind our products with a lifetime guarantee. Our cabinets are manufactured in the USA from durable high alloy aluminum. They are built to last, and they will provide years of functionality and quality. Call our cabinet experts to get started at (888) 343-4463 or visit us online at https://www.modulinecabinets.com/. 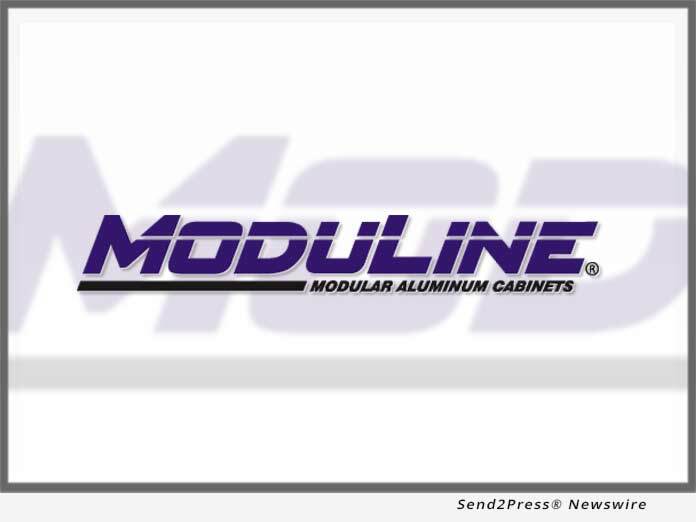 Moduline Cabinets is a premier designer and manufacturer of quality, American-made modular aluminum storage cabinets. Applications include residential homes and garages, vehicles, trailers, commercial and industrial shops, and car dealerships. Moduline Cabinets provides high-quality aluminum cabinet solutions for car enthusiasts and professionals for over 25 years. Our designer appearance enhances garages and shops, and our cabinets stand up against the daily rigors of any environment.